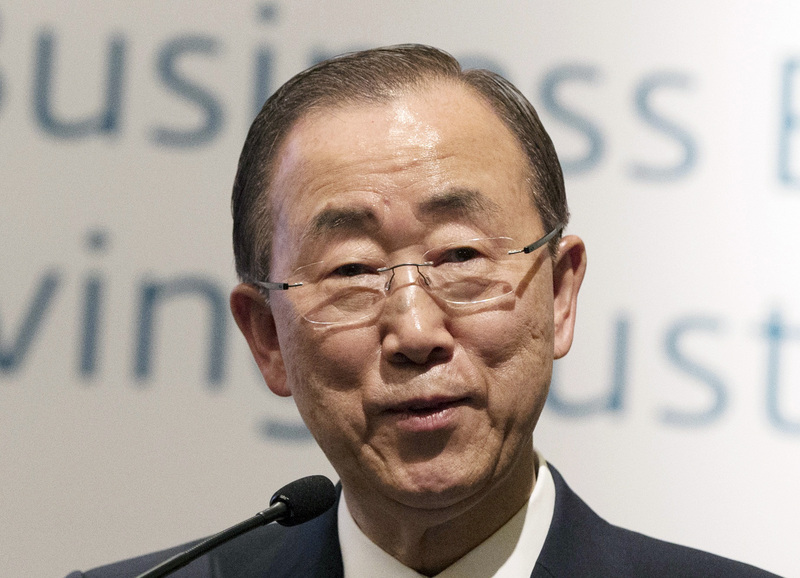 NEW YORK -- United Nations Secretary-General Ban Ki-moon will perform one last ceremonial duty before ending his 10-year leadership of the world body. Organizers of the Times Square New Year’s Eve celebration announced Monday that Ban will push the Waterford crystal button to begin the official 60-second countdown to 2017. The South Korean statesman was elected as the eighth secretary-general by the United Nations General Assembly in October 2006. Dec. 31 will be his last day in office. Antonio Guterres, of Portugal, will take over on Jan. 1. Hundreds of thousands of people are expected to watch the ball drop at midnight Saturday in Times Square.